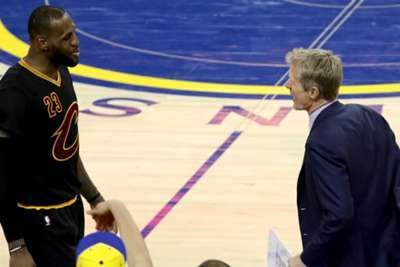 Golden State Warriors coach Steve Kerr says he is too focused on his own team to worry about LeBron James moving to the NBA's Western Conference. 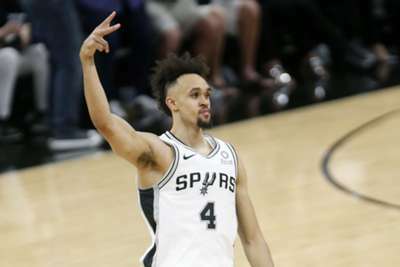 The Warriors and James have been regular foes in recent years, with the four-time MVP inspiring the Cleveland Cavaliers to multiple NBA Finals, and he will be nearby in the coming season after moving to the Los Angeles Lakers. While players and coaches around the league have openly discussed an exciting switch, Kerr is not interested. "I am not going to give that any thought because I've got my own team to worry about," he told ESPN. Kerr has been the head coach at Golden State since 2014 and won three NBA championships in that time, beating the Cavs on each occasion.